World-renowned cartographer of the brain, Scientia Professor George Paxinos AO, from Neuroscience Research Australia (NeuRA) has discovered a hidden region of the human brain. The region is found near the brain-spinal cord junction and Professor Paxinos has named it the Endorestiform Nucleus. Professor Paxinos suspected the existence of the Endorestiform Nucleus 30 years ago but has only now been able to see it due to better staining and imaging techniques. Commenting on this discovery, Professor Paxinos says it can be likened to finding a new star. The region is intriguing because it seems to be absent in the rhesus monkey and other animals that we have studied. This region could be what makes humans unique besides our larger brain size. The Endorestiform Nucleus s located within the inferior cerebellar peduncle, an area that integrates sensory and motor information to refine our posture, balance and fine motor movements. The discovery of the region may help researchers explore cures for diseases including Parkinson’s disease and motor neuron disease. Neuroscientists researching neurological or psychiatric diseases use Professor Paxinos’ maps to guide their work. Professor Paxinos’ brain atlases are heralded as the most accurate for the identification of brain structures and are also used in neurosurgery. An increasingly detailed understanding of the architecture and connectivity of the nervous system has been central to most major discoveries in neuroscience in the past 100 years. Professor Peter Schofield, CEO at NeuRA. It is truly an honour for Elsevier to be continuing Professor Paxinos’ legacy of publishing with us. His books are world-renowned for their expertise and utility for brain mapping, and for their contributions to our understanding of the structure, function and development of the brain. Professor Paxinos is the author of the most cited publication in neuroscience and another 52 books of highly detailed maps of the brain. 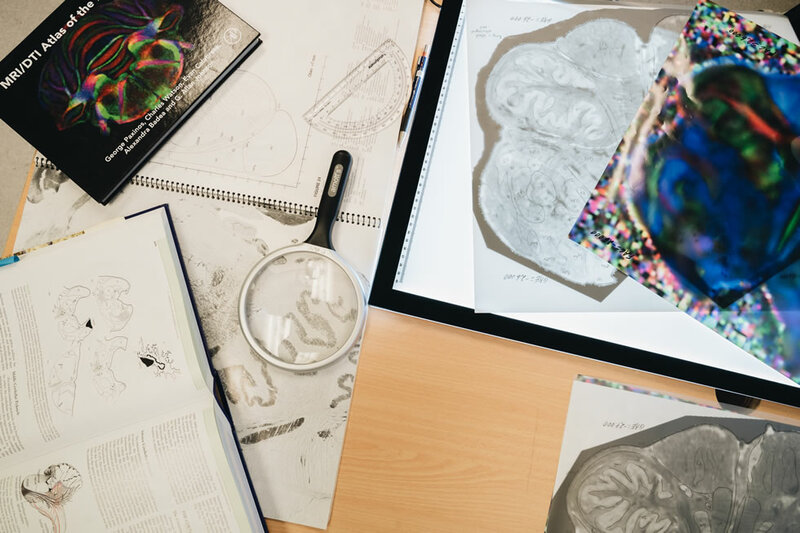 The maps chart the course for neurosurgery and neuroscience research, enabling exploration, discovery and the development of treatments for diseases and disorders of the brain.